Recently, we were lucky enough to create a new position for our district titled – “Educational Technologist: Mobile Integration Specialist”. You always hear stories about training our kids for jobs that aren’t even created, and here was the perfect real world example of that. This position’s job description focused it’s traits on the 4 C’s of 21st century skills along with an emphasis on mobile learning (BYOT, iPads, etc). D) A larger group of core staff actually being trained by the finalists in a professional development setting. It’s this last method that I’d like to focus on. I feel like individuals on paper and in an interview setting don’t always show what they truly are like. 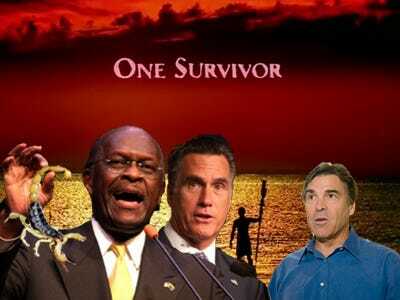 I’ve often said, that when it comes to the Presidential election, we should put all the candidates on an island Survivor-style and see who makes it. Those of us at home can see the true colors of the candidates. Since we didn’t have a television show or an island, we elected for the “mock” training instead. Only there was nothing mock about this training. It represented the final step in a lengthy, elaborative process. Those making it to this final round were all extremely talented and worthy of the position. However, seeing them in action in what will be their actual habitat was not only eye-opening, but also extremely informative into how they work, operate and relate. 3. The group they would be training would be made up of a diverse group of staff members. Prior to the interviews, I sent the large group the applications of the finalists to look over and an evaluation survey of their thoughts on how the person presented. (here’s a Sample) As you can tell by the survey, I broke it down into areas such as content organization and reading the audience. Unfortunately, or fortunately, all of the finalists did a great job demonstrating their training skills. It came down to what the group thought would be the best fit for the position. The interesting part of this is the process involved over 20 people from all different levels over the course of a month. Through all of those levels, there were a clear two candidates that everyone felt were the cream of the crop. The final training/interview re-iterated that fact, so much so that staff were actually pleading with me to hire both candidates. While I think the talent pool of the candidates has a major factor in this being successful, I’m left wondering, why don’t we do this with all of our potential hires? I know the job may not merit an “in-action” style interview, but I could easily see this translating to teachers. Imagine a potential teacher with a focus group of 2nd grade kids coming in and teaching for a day with the kids. Or how about a mechanic having to diagnose a problem and fix it with a car? The two are not as different as you might think. It takes interaction, knowledge, creativity, and lots of critical thinking to be succesful in these style of interviews. There are some drawbacks with this style of interview, mainly that a teacher in the group could derail the entire group if he/she doesn’t like a candidate. Also, except for a couple of members of the focus training group, not all of them knew the backgrounds of the candidates besides their paper resume as they all didn’t sit through the initial interviews. The reason I thought it was successful here was that the people chosen to be part of the focus group were and are all sensible, open-minded instructors that I respect tremendously. Add to that the fact that all of them would have some interaction with this person down the road, it was important that they had buy-in on the process. Posted on December 1, 2011, in Techy, Uncategorized. Bookmark the permalink. Leave a comment.